Here it is attempt num ber two. It felt better as I was working on it. Plus I copied the pattern so I could mark off each step as I completed it so that I did get lost and miss an element. It still does not lay flat but that may be because it is the two of the bootie. 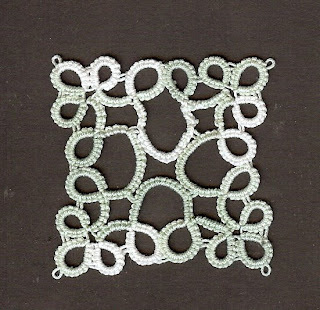 The pattern is by JoAnn Stearns from her Christening Set. I have that same pattern. I haven't tried it yet, though! Very cool how you managed the pattern. We all have our little "trick", don't we?